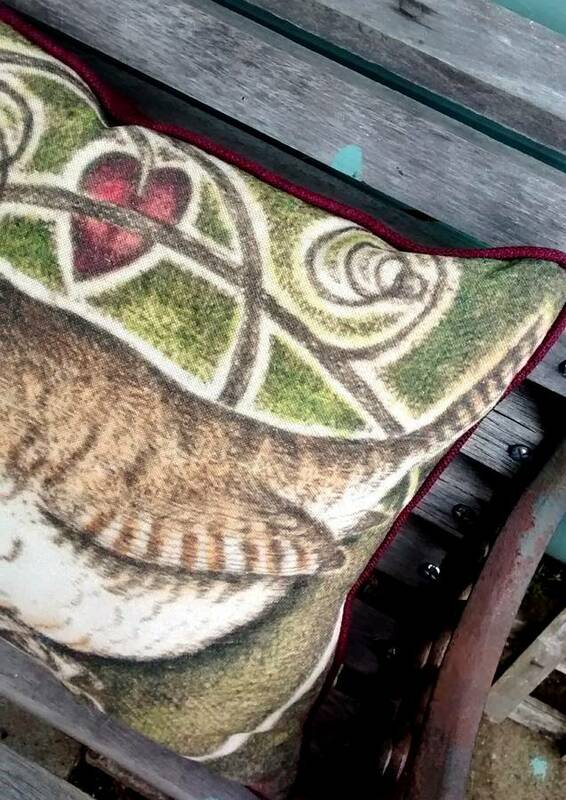 Rich natural linen cushion featuring the beautiful wildlife of Britain. 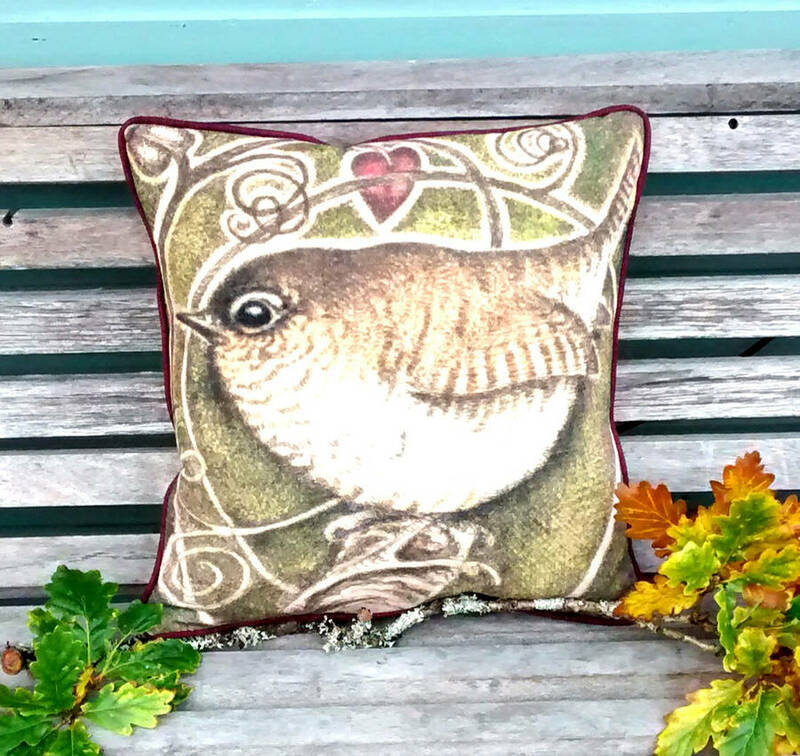 An ideal gift for a nature lover, perfect for a rustic touch with our soft natural-coloured linen and muted tones used in the artwork. With a linen mix reverse & piping detail in a sympathetic matching tone. Hollow fibre inner & zip fastener. 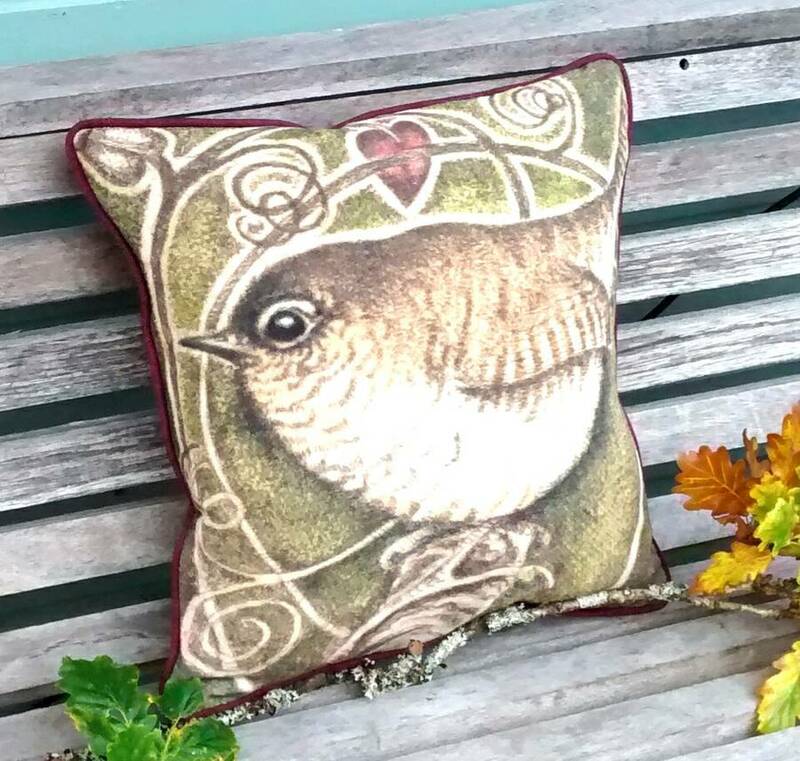 This beautiful cushion is taken from an original copper plate etching. The artist is a traditionalist; working with copperplate in the old way. Which involves an acid resistant wax, blackened with soot from a taper and then the image, drawn with a fine needle point and a magnifying glass. The detail & colours achieved using this method is truly captivating. A perfect gift for anyone that appreciates the finer detail in nature. This product is dispatched to you by Boxwood.